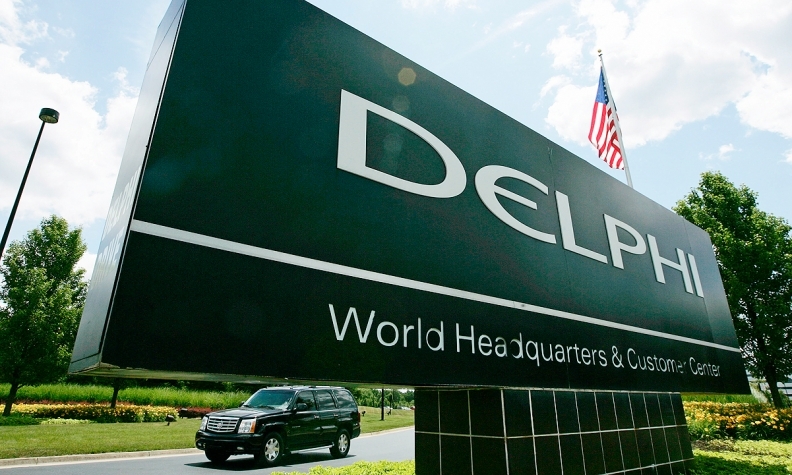 DETROIT -- U.S. supplier Delphi Automotive plans to spin off its powertrain unit in order to focus on developing technology for autonomous driving systems and electrically powered vehicles. Delphi has shed most of its lower-margin automotive supplier businesses in recent years and is seen as one of the companies best placed to grow as the industry moves toward self-driving vehicles. The spinoff of the powertrain unit will be tax free and is expected to be completed by March 2018, Delphi said. Delphi shareholders will hold stock in both companies. The automotive supplier said Liam Butterworth, currently senior vice president and president of the powertrain unit, will become the new company's CEO. Delphi, of Troy, Michigan, also reported a better-than-expected first-quarter net profit as revenue rose in all regions, and it gave a robust full-year earnings outlook. Quarterly net profit from continuing operations rose 4.7 percent to $335 million, or $1.24 per share. Excluding one-time items, the company reported earnings per share of $1.59.